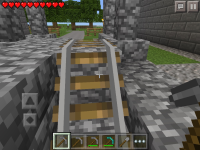 When you sit in a minecart an leave the game, either by "quit to title" or by homebutton, then closing the game via the task manager complitly and reopen the game afterwards you still sit on the last location but the minecart is gone. 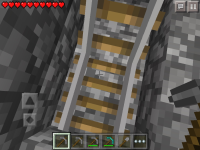 On the screenshots you can the see before saving/ exit situation and the reentert one. 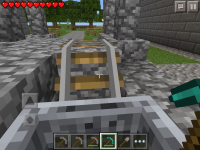 On left side the gamepad still indicates that you are sitting the "minecart".